The Senate Judiciary Committee unanimously passed Senate Bill 5, dealing with the rising heroin epidemic, unanimously on Wednesday afternoon. 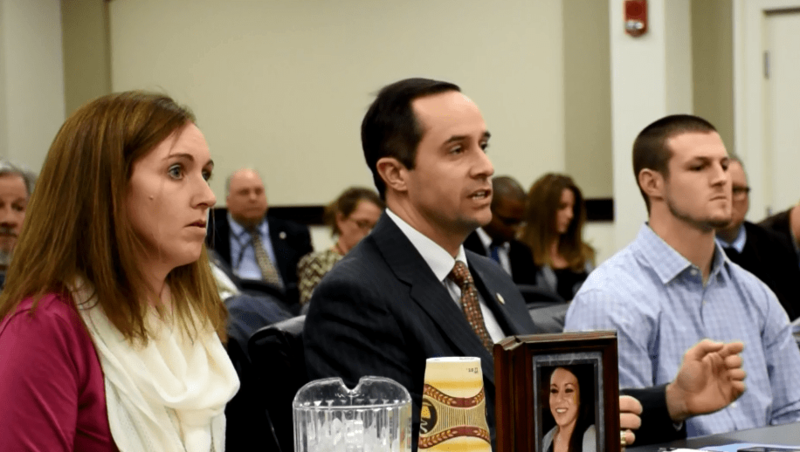 Sponsor Sen. Chris McDaniel, R-Taylor Mill, testified that heroin use has reached new catastrophic levels in Kentucky and affects not only our cities, families and communities, but also businesses. He said the time has come for the members of the General Assembly to step up and help people that are affected by this epidemic and punish those that are dealing the substance. Sen. McDaniel stated that the bill provides that money be allocated to county jails to help with intervention and rehabilitation, as well as programs operated by community mental health systems. One of the main points of the bill is increasing the number of treatment beds in Kentucky and providing naloxone to responders and providing immunity for those administering this drug. In addition to the treatment aspect of the bill, penalties for trafficking and dealing have increased. Under this legislation a person can be charged with trafficking if they have any quantity of heroin and if convicted, must serve at least 50 percent of their sentence, unless the prosecutor recommends a lesser timed service. The Kentucky Fraternal Order of Police, Northern Kentucky Heroin Impact Task Force, the Kentucky League of Cities and the Kentucky Jailers Association all testified in support of the Senate Bill 5. Also joining McDaniel for testimony was a recovering heroin addict from Lexington who described his struggles to the committee, explaining he began experimenting with marijuana before beginning to sell it to support his habit. The young man went on to say he then became addicted to oxycontin before learning of heroin as a cheaper vice. Another young woman joined McDaniel to discuss the loss of her sister to a heroin overdose in 2013—adding that she believes if legislation like Senate Bill 5 had been in place when her sister was struggling with addiction she would still be alive because she would have received the treatment she needed and potentially could have received naloxone and been saved from her overdose. Currently, there are seven bills filed which seek to address the scourge of heroin in the state. However, the bills all have conflicting details. McDaniel told the committee he believes Senate Bill 5 is a comprehensive piece of legislation that tackles the issue. The bill will now go to the full Senate for a vote. Please voice your support on this important issue to your legislator by calling 1-800-372-7181.